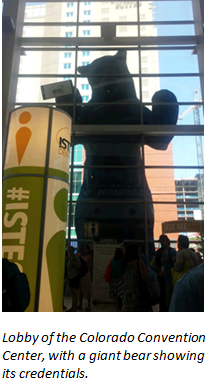 The 2016 ISTE Conference and Expo was June 26-29 in Denver, CO, and representatives from Lerner Digital were there…along with 500 other companies! ISTE—the International Society for Technology in Education—is a community dedicated to making learning and teaching more meaningful and impactful for educators and learners worldwide. ISTE standards provide a framework for amplifying the teaching and learning experience through technology to transform 21st Century education. Over 1,000 presentations were offered for attendees to learn, experience, or discuss tech trends impacting educators and students. 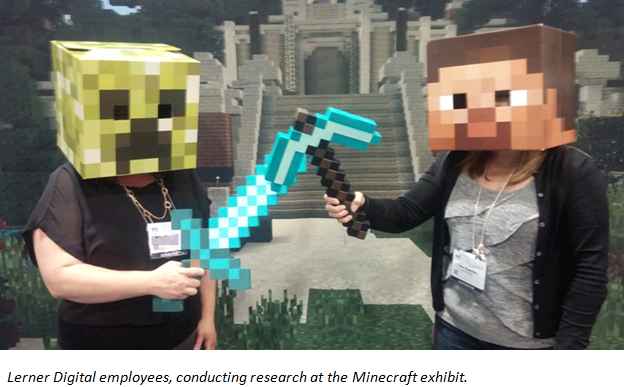 It was an enormous event drawing nearly 20,000 visitors, mostly educators, reporters, and companies. Though there were more than a few curious students attending, as well. With such a broad and ambitious mission, naturally a wide variety of companies were also on display, offering exciting advances in everything from robotics, virtual reality, resource management solutions, interactive classroom tools, and eBooks (of course!). Lerner Digital is proud to be part of this exciting community, and we were pleased to show off some of our over 4,300 eBook offerings. In particular, we generated a lot of interest amongst Expo attendees about our Interactive Books™ for K-5 struggling readers and our Audisee™ eBooks with Audio titles for reluctant readers in grades 4-12. While anyone can enjoy our products, the Interactive and Audisee titles, with their embedded audio and features designed to ease and enhance the reading experience, are a particularly valuable and versatile option for a wide variety of students who might otherwise find reading difficult or uninteresting. We were pleased to speak with both longtime Lerner Digital customers as well as visitors who were unfamiliar with Lerner Digital but were enthusiastic to learn about us. We had a great time, met more outstanding educators than we can count, and even held a drawing for an iPad Mini!